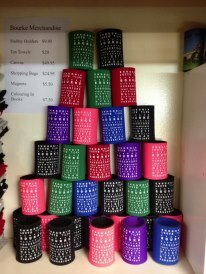 Stubby holders in a variety of colours feauturing the names of all the towns surrounding Bourke. NB Please add colour preferences to comments box in CHECKOUT - we will endeavour to supply you with one of your preferences. View These unique custom Australian printed tea towels list the names of towns and villages that surround Bourke, showcasing western NSW. 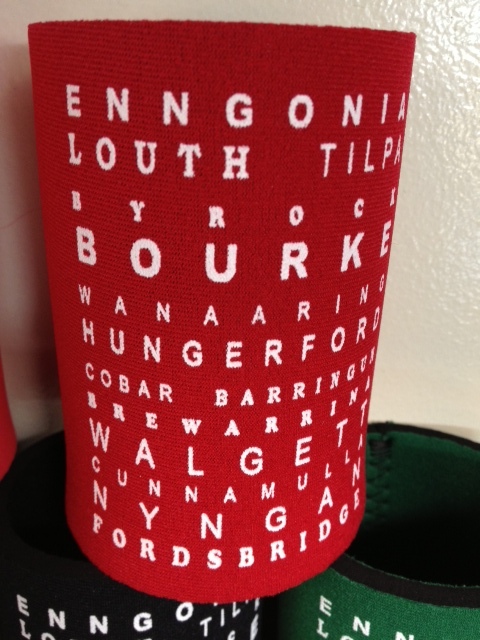 Hessian shopping bag feauturing the names of all the towns surrounding Bourke.